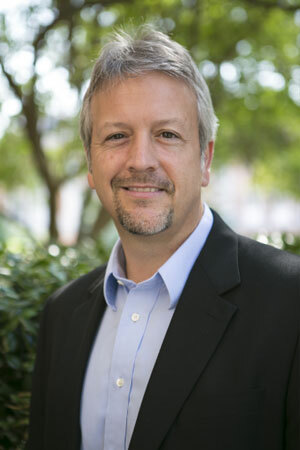 Chris Metress is in his eleventh year in the Office of Academic Affairs, where he has served in a variety of administrative and faculty roles, including associate provost for academics, special assistant for academic innovation, and founding director of the University Fellows Program. As associate provost, he launched a number of university-wide initiatives that have expanded faculty and student opportunities for academic excellence. Working with the Office of Global Engagement, he increased study abroad participation by more than 30% within two years, designing new funding models and assisting with the creation of new courses. He also led the university’s first domestic study-away initiative, which culminated in the creation of a “Samford in D.C.” partnership with the Washington Center for Internships and Academic Seminars. In addition, Metress oversaw the restructuring of the Center for Teaching, Learning, and Scholarship, securing a full-time director and increasing funding to support early-, mid-, and late-career faculty. Prior to becoming associate provost, Metress was named University Professor, an appointment reserved for faculty with an accomplished record of interdisciplinary teaching, service, and scholarship. Tasked to promote innovation and enhance the university’s academic reputation, he helped to establish a biennial conference and summer institute on “Teaching the Christian Intellectual Tradition,” worked across multiple colleges to redesign the university’s approach to national fellowships and scholarships, and created the vision for the Hull Fund, a $50,000-a-year faculty development initiative he designed in 2014. From 2008-2012, Metress served as the founding director of the University Fellows Program, Samford’s honors college experience and 2008 QEP. As director, he developed the program’s great books curriculum, established new opportunities for undergraduate research and international study, and introduced multiple innovations that were later adopted across the university and the core curriculum. He also raised more than $1,000,000 to create such initiatives as the Great Ideas Summer Institute and the Alabama Power Foundation Summer Research Program. From 1993-2007, Metress was a member of the English Department, serving in the fall of 2003 as a Visiting Professor of Humanities and Social Sciences at Kalmar University, Sweden. He has received more than a half dozen teaching awards, including honors at Vanderbilt and Wake Forest universities, as well as Samford’s 2009 George Macon Memorial Award, given annually to a faculty member for outstanding performance as a teacher and mentor. He also served as the university’s NCAA Faculty Athletics Representative for sixteen years, representing Samford in three different sports conferences and assisting with the hiring of multiple coaches and athletics administrators. Metress has published more than one hundred essays and reviews in such journals as the South Atlantic Quarterly, the Southern Review, the African-American Review, and Studies in the Novel, as well as in collections such as The New Encyclopedia of Southern Culture and The Cambridge Companion to American Civil Rights Literature. He has published six books, including The Lynching of Emmett Till, a university press bestseller that was featured in news stories in the Washington Post, the New York Times, the Atlanta Journal Constitution, and Nation magazine. In 2003 the Association of American University Presses named the Lynching of Emmett Till among its "Best Books for Understanding Race Relations in the U.S.," and the collection has been used in courses in more than 100 colleges and universities. He has also lectured widely on the intersections of literature, race, and history, including invited talks at NYU, the University of Virginia, Brown University, the University of Connecticut, and Wolfson College, Oxford. Eugene Current-Garcia Award for Distinction in Literary Scholarship [given annually to a scholar from Alabama who has made a significant lifetime contribution to the arts and humanities], Association of College English Teachers of Alabama, 2019. Faculty Development Grant, Samford University, for “The Other Schoolhouse Door: The Desegregation of Christian Higher Education in Alabama,” 2019. Georgia State University World Heritage Initiative, History Consultant [team of scholars who are proposing twelve U.S. civil rights landmarks as a serial World Heritage site], 2017-ongoing. NEH Summer Institute, Participant, “Recognizing an Imperfect Past: History, Memory and the American Public.” Georgia Historical Society, Savannah, GA. June 11-13, 2017. Co-Director, Teaching the Christian Intellectual Tradition Project, Samford University, 2014-ongoing. George W. Macon Award as outstanding university professor and mentor, Samford University, 2009. “Notable Essays of 2003” in Best American Essays of 2003, for “The Rise and Fall of Atticus Finch,” The Chattahoochee Review 24.1 (Fall 2003): 95-102. 2003. NEH Summer Institute, Participant, “Teaching the History of the Southern Civil Rights Movement: 1864-1964.” The W.E.B. Du Bois Institute, Harvard University, June 26-July 28, 1995. Old Gold and Black, Best University Professor, Wake Forest University, 1992. Outstanding Teaching Fellow in the South Atlantic Region, South Atlantic Association of Departments of English, 1990. Outstanding Teaching Fellow in the College of the Arts and Sciences, Vanderbilt University, 1990. Edgar Hill Duncan Award as Outstanding Teaching Fellow in the Department of English, Vanderbilt University, 1990. Memory, Invention, Delivery: Transmitting and Transforming Knowledge and Culture in Liberal Arts Education (co-edited with Richard Dagger), 2016. Teaching Augustine (co-edited with Scott McGinnis), 2015. Emmett Till in Literary Memory and Imagination (co-edited with Harriet Pollack), 2007. The Lynching of Emmett Till: A Documentary Narrative, 2002. The Critical Response to Dashiell Hammett, 1995. “The White Southern Novel and the Civil Rights Movement.” The Cambridge Companion to American Civil Rights Literature. Ed. Julie Buckner Armstrong. Cambridge UP, 2015. 104-22. “Literature, Civil Rights, and the Political Imagination.” Essay Review. Southern Literary Journal 47.2 (Spring 2015): 122-28. “Culture, Memory, and the Legacies of Lynching.” Essay Review. Southern Literary Journal 46.1 (Fall 2013): 127-31. “Making Civil Rights Harder: Literature, Memory, and the Black Freedom Struggle.” Southern Literary Journal 40.2 (Spring 2008): 138-50. “’on that third day / he rose’: Sacramental Memory and the Lynching of Emmett Till.” Emmett Till in Literary Memory and Imagination. Ed. Harriet Pollack and Christopher Metress. LSU Press, 2008. 16-30. “A Place for Silence in the Core Curriculum: Benedict’s Rule and the Great Books Dialogue.” The Place of Core Texts: Selected Papers from the Ninth Annual Conference of the Association for Core Texts and Courses. University Press of America, 2008. 61-66. “Langston Hughes’s ‘Mississippi—1955’: A Note on Revisions and a Plea for Reconsideration.” African American Review 37.1 (Spring 2003): 139-48. “The Rise and Fall of Atticus Finch.” The Chattahoochee Review 24.1(Fall 2003): 95-102. “Via Negativa: The Way of Unknowing in Cormac McCarthy’s Outer Dark.” Southern Review 37.1 (Winter 2001): 147-54. “Fighting Battles One By One: Robert Penn Warren’s Segregation.” The Southern Review 32 (Winter 1996): 166-171. “Sing Me a Song about Ramblin’ Man: Visions and Revisions of Hank Williams in Country Music.” South Atlantic Quarterly 94 (Winter 1995): 7-27. “Diplomacy and Detection in Conan Doyle’s ‘The Second Stain.’” English Literature in Transition: 1880-1920 37 (1994): 38-51. “‘a new father, a new home’: Styron, Faulkner, and Southern Revisionism.” Studies in the Novel 22 (Fall 1990): 308-22.